It’s a Must for septic treatment; septic repair, and treatment after pumping. Add 1 gallon of Bio Drain and Septic Cleaner after you have your septic pumped! Give you system a boost with billions of bacteria to get your system up and running. 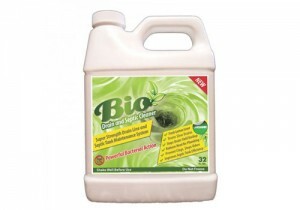 NEW: Bio Drain and Septic Cleaner- Environmentally superior solution to drain line build up. Highly concentrated liquid suspension of naturally occurring,non-pathogenic, bacteria and enzymes. 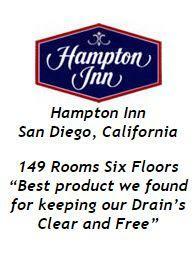 Bio Drain and Septic Cleaner – 100% non-toxic,non-caustic, totally safe for plumbing, garbage disposals, cesspools, super septic system treatment. To treat clogged drain lines, add 2 oz. per drain per week to treat clogs and keep drain lines clear. SEVERE CONDITIONS: Add one (1) gallon of Bio Drain and Septic Cleaner per month, for 2-3 months, then a maintenance dose of 1 quart per month. Bio Drain and Septic Cleaner will not dissolve roots, clay, silt, stones or plastic material. Therefore if a block in the line is determined to be caused by this kind of material it will be necessary to have the line opened mechanically prior to treatment, after removing the physical block treat as above. Pipes and lines will open and run freely. Grease and fat accumulation will be removed. Puddling over tank and leach field will cease. The system will flow normally. 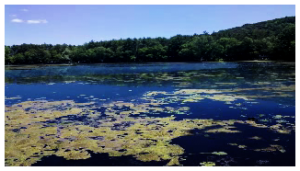 Odors of raw sewage and the anaerobic decomposition of waste around the tank, the lines, the distribution box and the leach field will disappear. The entire system will flow normally and allow utilization of household equipment without back-ups. Cooking grease and fat have accumulated on the walls of the pipes and lines forming a gummy layer that will entrap solid particles causing a block in the line. Organic solids spilling over from the septic tank into the distribution box and the lines leading to the leach field, have coated the distribution box and the lines from it with anaerobic mud that acts in a fashion similar to grease and fat. The pores in the absorption field have filled with organic solids, grease, fat and anaerobic bacteria, so water is no longer absorbed into the ground. The lines leading from the septic tank, as well as the tank itself, are filled with solids and/or grease and fat so entering waste water has no where to go but to the surface of the ground. 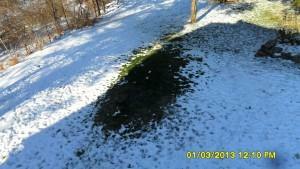 Excessive amounts of waste water are present and decomposing anaerobically in all sections of the septic tank system . Water is surfacing and bringing odor with it. The mixture of microorganisms needed to provide adequate treatment is no longer present in the septic tank or on the tiles and stones of the leach field . A combination of all of the above is probably taking place. It is possible that a physical block in the line leading to the septic tank itself has occurred, but that is unlikely to be a problem of accumulation, rather the presence of a root or stone, or a broken pipe that has collapsed. If the septic tank has been in operation for longer than two years since it was installed or last cleaned, have the tank pumped prior to the addition of Bio Drain and Septic Cleaner. This will preclude overloading the leach bed with organic material during the treatment with Bio Drain and Septic Cleaner.